Hell, I don’t live in Texas. I live in Austin! The Brewers Association recently published the current numbers of breweries in the US. There are 1,308 brewpubs, 1,721 micros, 124 regional breweries, and 25 large breweries in America. These numbers are amazing, but what is really astonishing is that there are 1,968 breweries in the planning stages! And the beer industry is flat? The challenge for these breweries that are not brewpubs, which offer food, is how does one set oneself apart from all the other brands? As an example, there are close to 1,000 IPAs now being offered! Assuming that the quality of the beer is excellent, it follows that the level of success of any brewery or brand is directly related to the creativity of the marketing. In every panel discussion or speech at an industry event discussing crafts, the topic of relevancy in the home market is key. Almost every single industry expert agrees that a brewer must have a flagship brand that has legs and the support of the local market. Without that support, there is little hope for success. The book The Improbable Rise of Redneck Rock, by Jan Reid, published in 1974, chronicles the beginnings of the live music scene in Austin in the early 1970s. This genre of country music was led by Willie Nelson and many others. Lone Star Beer, which had been in decline for a number of years, saw an opportunity during this music revolution. The roots of the movement were in Austin, and with the Vietnam War still waging, spoke of what was relevant to the young college students at the University of Texas. Many of the songs sung and written were about Texas and Lone Star Beer. These singers and song writers spoke to the national pride of the state. This hit a nerve. The Lone Star District Manager, Jerry Retzloff, saw an opportunity and presented it to the brewery. Barry Sullivan, the VP of Marketing for Lone Star, also realized the possibilities, and the two of them began to capitalize on this music scene. They worked with Willie Nelson and other singer/songwriters who jumped on board to help promote Lone Star. The music spoke of Lone Star Longnecks, or as we know, 12 ounce returnable bottles, became the package of the movement. As the District Manager of DFW, Jerry and I met in San Antonio when the brewery changed the neck label on the bottle to “Lone Neck.” The original Longneck label is pictured above. The neck label in the picture is taped on as it is the actual prototype of the first Lone Star Longneck bottle. It is from 1973. Lone Star’s jump into this scene turned sales around for the brewery. Soon the brewery started to produce longnecks in six-pack carriers and the sales trends moved to Houston and DFW. In Dallas in 1972, Lone Star was selling only 17 kegs a month. Fast forward to 1973, and Dallas was selling 1,700 kegs a month. The sales increase was a result of the music revolution in the state, not the work of the distributor who was a wine and spirit house. 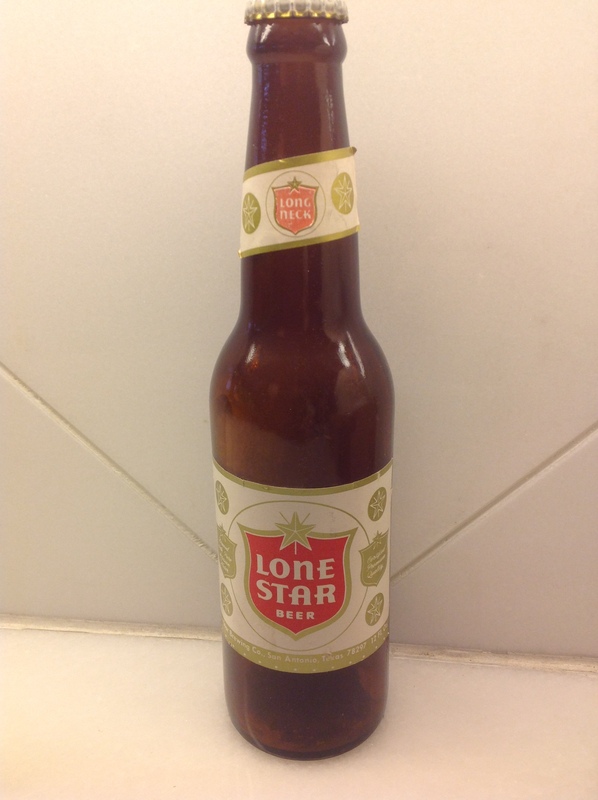 Crafts could learn from how Lone Star became a cult beer tied to a regional movement. Unfortunately, for Lone Star, the owner sold out to Olympia in the late 1970s. Oly continued this model; however, they too, sold out to Heileman in the early 1980s. Heileman stopped their involvement shortly after the movement reached its peak with the movie Urban Cowboy starring John Travolta. Whether the music helped make Lone Star, or Lone Star helped make the music, what this marketing did was to tie Lone Star’s 10+ years of growth to a generation of young drinkers. Recently ABI announced they had purchased a small, but quickly growing craft brewery, 10 Barrel. 10 Barrel is located in Oregon and sells only in that state, and in Washington and Idaho. 10 Barrel products are highly popular in all three states. If one takes a step back and looks at today’s ABI, just what does one see? In addition to being the largest brewer in the world and in the US, ABI is also the largest distributor. Their business model consists of importing brands, like Stella, from around the world. They contract brew beers, including Becks and Kirin. They put together and run the Craft Brewers Alliance. They have purchased other craft breweries, including Goose Island, with more to come. What you have is a company that brews, distributes, contracts, imports, and works JVs in beer. If it was legally available to ABI they would retail beer, too. ABI touches as many tiers in the beer industry as they possibly can and continue to expand their reach in all directions. ABI is as fully integrated a beer company as is possible. MC just announced that while it, too, touches many of the same areas that ABI does, it has little interest in expanding its model in distribution outside of the Denver operation. It was not too long ago that Coors owned distributors in California and Idaho, plus other operations bought, run, and then sold through their Ford Street Management group. MC is also into crafts with 10th and Blake, and has prospects of adding JVs when the time is right. We all know that in the past two years, Constellation brands, along with Crown, bought not only the Modelo importing rights to the US, but also one of their breweries in Mexico. Even with Crowns’ success, their entry into the middle tier is not in their business model. It is not unreasonable; however, to think they too, will expand their business model in the coming years. Gold Coast Distributing, located in Miami, has agreed to be purchased by the Reyes Holdings. The 27+million cases sold by Gold Coast will now make Reyes, already the largest MC distributor in the US, second in line to ABI as the largest beer distributor in the US. Reyes Holdings cover three companies with over 22 billion in revenues. This includes food services, distribution for McDonalds, and these distributorships. Reyes has been able to establish large and key operations in three of the largest volume states: California, Florida, and Illinois. They are also in other states, and are adding to their footprint in key states regardless of the cost. The question now is: what is next for Reyes? Will Reyes, like MC or ABI, start purchasing small but highly successful craft breweries? They can expand these products all through their distribution system without any issues. Think of the focus and support they could provide, but how would other crafts look at Reyes as a distributor partner? I have frequently recalled the backgrounds of the beer guys who have taught me so much about this great business. As noted, almost all of them were either WWII or Korean War veterans. I have learned so much from these patriots. Four of the very best beer guys I have had the pleasure of working with during my early years in the business were Vietnam veterans, all of whom served in combat situations in Southeast Asia. In a previous post, I told the story of Bill, who, as a young infantry officer, was severely wounded and lost much of his stomach. As a result of his injuries, Bill had difficulty eating, and as you can imagine was extremely underweight. The two of us worked together for five years, but Bill decided to return to his native Louisiana, and the last I heard from him, he was working for an AB wholesaler in southern Louisiana. Another champion I admire is Ed S. After graduating from high school, Ed S. joined the Marines and was soon deployed to Vietnam. He told me his first duty upon landing was to fill body bags with dead Marines after a bloody fight. Ed S. survived his tour of duty and was assigned to the Marine Honor Guard in Washington, DC. Once the command discovered that Ed S. was a former state of Michigan Junior Am golf champion, however, he wound up at the base golf course giving lessons. Ed S. moved from AB in Kansas, to Miller in Michigan, and later back to Miller in Missouri. As with Bill, I lost track of Ed S. 20 years ago. He mentioned he might move south to Mississippi or Alabama, but he just disappeared. The third vet who has left a lasting impression on me is a longtime friend and associate, Carter. Carter was in the Army infantry and deployed to Vietnam after completing basic training. One of his many duties included manning a machine gun during his 12 month tour. Carter never talked much about his time in Southeast Asia, but I do know that his adjustment back to the States, and his return to college life in Kentucky, was difficult. The backlash from our society felt by this returning vet, who had sacrificed so much, was arduous. Carter and I worked together for many years, he remains in the industry today, and we share a close friendship after all these years. Finally, Ed G. left a lasting impression on me. Ed served as an Army Ranger for eight years. While he has never talked about his combat experience, the fighting skills learned while in the service have proved to be useful to Ed in competitive matches leading him to become the world kick boxing champion in his early 50s. After reaching the pinnacle, Ed retired from competition, although he continues working in the beer industry. All four of these men were the best beer men with which I had the pleasure of working. Their work ethic and ability to get the job done was second to none, and given what they had faced in combat, selling beer was easy. Success was second nature while working with these great men. The support our veterans receive from America today get is much deserved. We can never fully repay these men and women for their sacrifice. As we honor our American war heroes this Veteran’s Day, pleased take a moment to thank those who have sacrificed so much for our freedom. This is the least we can do for them. The beer industry, too, remains committed to supporting our veterans. As I have posted previously, Veterans Brewing Company, who hires only veterans, is also dedicated to supporting our American war heroes. To all of you who have helped with the establishment of Veteran’s Brewing, a special thank you. 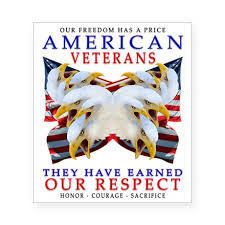 Finally, to Bill, Ed S., Carter, Ed G., and all of the WWII, Korea, Vietnam, Desert Storm, Iraq, Afghanistan and other vets, I thank you! You have shown that responsibility is the price of freedom! In 1977, a number of breweries, beginning with Falls City and Pearl Brewing Co., brewed a beer named after and supported by Billy Carter. Billy was the younger brother of then President Jimmy Carter. Billy Carter was somewhat of an outgoing, fun loving, and partying guy who loved promoting his namesake beer. The beer, however, was short lived and soon died. In fact, Billy Carter’s beer of choice was actually Pabst. Thousands of cases of Billy Brew were produced and became collectable items. And even today, there are still some cans around. Over the decades, many celebrities have lent their name to promoting beer. These include Ben Hogan for Pabst, James Colburn for Schlitz, and of course, Ed McMann for AB. At one time, Mark Harman promoted Coors, and even famous actors supported certain beers including Paul Neumann, who first supported Coors, and then later, AB. Once Neumann started with AB, a Bud logo showed up on his race car. This type of name lending continues today with Neil Patrick Harris as a spokesperson for Heineken Light. Sometimes it works in reverse as with Dos Equis great commercials and the most interesting man in the world. These commercials have made a name for him. Last week it was announced that three professional golfers have teamed up and with BrewHub to produce beers with their names on the products. These golfers are Graeme McDowell for a Celtic Style Blonde Ale, Keegan Bradley for a New England Style Lager, and Freddie Jacobson for a Scandinavian Style Blonde Ale. All with an ABV between 4.5% – 5% range and all aimed toward an easy drinking craft beer. These three beers will start selling in Florida, first with drafts, and will target select golf courses, on site restaurants (probably sport bars), and country clubs. Followed soon by cans for the off premise. At this time, there has been no announcement as to the distribution network. So now the question is: are we seeing the beginning of a wave of celebrities who are attempting to capitalize on their names by selling them to breweries to put on a beer? How about a beer from Michael Jordan? Jimmy Johnson? Or even Kim Kardashian? Perhaps the sports complexes and organizations do the same, Cowboy beer? Steeler beer? Giant’s beer? Lakers beer? These sold in their stadiums and local market. Next colleges get into it, Crimson tide beer, Tiger beer, Longhorn beer, Duck beer? You get the picture. Think about the names of beer in the past. Breweries have named products after cities, rivers, mountains, regions, area phone codes, lakes, and now even some after movies like Star Wars. If the projections and forecasts are right or even close to the continued interest in crafts, we can expect this happening. Beer might even become like perfume, famous people selling their name on a can. In today’s social media environment, top tier athletes such as these pro golfers have thousands of followers. Movie stars and Hollywood celebrities have millions of such followers. This all leads to a built in consumer base and a marketing dream. What distributor would not be interested in selling a product with that kind of potential? Billy Carter was just one of the first to sell his name, now come the rest. Remember it’s all in the name!